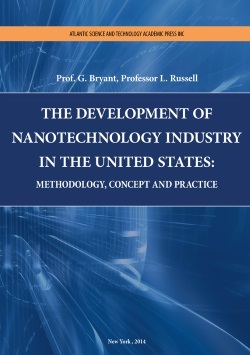 Home Books The development of nanotechnology industry in the United States: methodology, concept and practice. different types of nanotechnologies, in particular, the prospects for using the isotope effect and isotopic nanotechnology. forming non-valence (physical) and valence (chemical) bonds as a basis for cross-linking of substances. It is intended for researchers, graduate students and all those interested in nanotechnology issues. 344 pages, print-run of 1000 copies.